For a business, plumbing problems can be devastating. Depending on the scope of the issue, you may need to close for the day. That’s just bad for business! Potential customers notice you’re shuttered during the weekday, and they think of the worst-case scenarios. Something as simple as a leak could seriously impact your customer base. At Emergency Plumbing & Solar, your business is our business. We will work with you directly to provide efficient results on time. A commercial plumbing system is no different than a residential plumbing system. The very same pipes, faucets, and joints ensure clean water enters the premises and wastewater leaves. As a result, the same issues can crop up. You may notice leaks, drips, or a lack of water pressure. Our experts can solve all of these plumbing issues. Unfortunately, most commercial plumbing systems are not as clean as residential systems. Few business owners have the time or patience to maintain the facilities. As a result, the wear and tear on commercial plumbing systems is typically harsher. This often leads to further breakdowns and leaks. You’ll want to schedule service regularly to avoid such conditions. 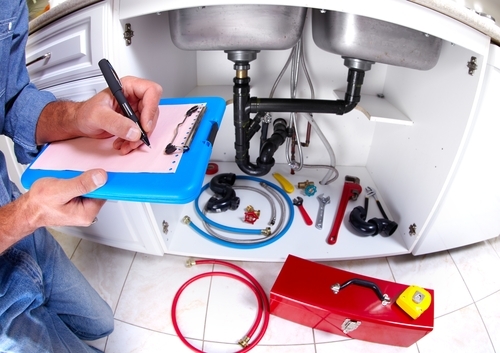 The first step to an efficient plumbing system is professional installation. By allowing Emergency Plumbing & Solar the opportunity to install new pipes or fixtures, you give your plumbing system an extended and efficient lifespan. If anything does go wrong, we also provide fast repairs. Our plumbing technicians have experience with most systems and issues, including leaks, water pressure, clogs, and worse. Whether it’s an emergency or an annoyance, you can always give us a call. You strive to provide the best service for your customers, so does the team at Emergency Plumbing & Solar. Each one of our plumbing professionals are journey plumbers with 5+ years of experience, and are trained to use the latest techniques and technology in the industry. Whether you require fixture installation, are experiencing a drain backup, or have a persistent clog, you can depend on us to deliver the quality you expect and deserve. Running a business brings new challenges every day – unfortunately, many of them can be financial. At Emergency Plumbing & Solar, we understand the importance of keeping our services affordable for everyone. That’s why we offer upfront pricing, so you know how much to budget for a job. You can also expect our work to be done quickly and done right the first time, so you don’t lose any business due to plumbing problems. We want every business on Oahu Island to be successful and reasonable pricing is one way we try to help you! To schedule commercial plumbing service, contact Emergency Plumbing & Solar by calling 808-691-9309. We’re standing by to help your business succeed! Commercial Plumbing Overall rating: 5 out of 5 based on 10 reviews.